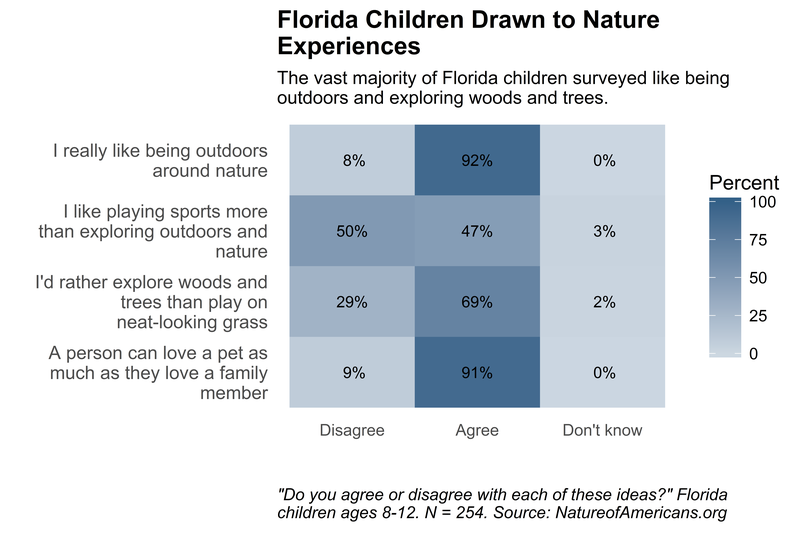 Children in Florida like being outdoors around nature and think a person can love a pet as much as they love a family member. Most would rather explore woods and trees than play on grass. They are split in liking to play sports more than exploring outdoors.